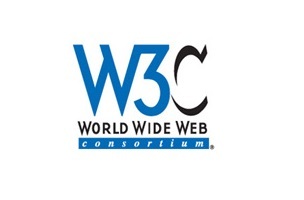 Last Thursday we had the first virtual w3c webrtc wg interim meeting. Once we sorted out a few technical details it went quite well! ORTC, WebRTC, H.264, VP8, RID, RtpEncoding, Simulcast and much more. Google, Microsoft and Hookflash leading the discussion, join us! ORTC API Support. Our primary focus right now is audio/video communications. We have implemented the following objects: IceGatherer, IceTransport, DtlsTransport, RtpSender, RtpReceiver, as well as the RTCStatsinterfaces that are not shown directly in the diagram. W3C WebRTC working group chairs [Harald Alvestrand (Google), Stefan Håkansson (Ericsson), Erik Lagerway (Hookflash)], made a decision recently to add a new editor to the working group, as Peter St. Andre (&yet) has resigned as editor. Bernard Aboba (Microsoft) has now been appointed as editor. Bernard’s attention to detail and advocacy for transparency, fairness and community has been refreshing. It has been my pleasure (as chair of the W3C ORTC CG) to work with Bernard whom also is an author in the W3C ORTC CG alongside Justin Uberti and Robin Raymond (editor). I look forward to working more with him in the WG.